Can he bring the dirty rat to justice? 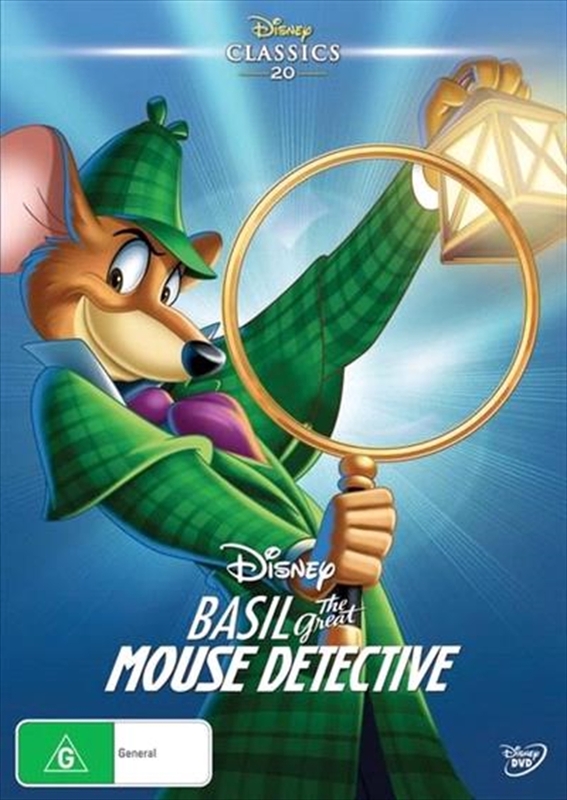 The glorious Disney tradition of brilliant animation, lovable characters and non-stop fun continues in the thrilling animated classic, Basil, The Great Mouse Detective. Set in turn-of-the-century London, the story pits Basil of Baker Street - the Sherlock Holmes of the mouse world - against his diabolically demented archenemy, Professor Ratigan. The adventure begins when a little girl's father is kidnapped by the villainous Ratigan. That's when Basil, his bumbling sidekick Dr. Dawson, and a lovable bloodhound named Toby embark on a rollicking, action-packed rescue mission that will delight the entire family for years to come.